“Refuse the evil, and choose the good” (Isaiah 7:15). My beloved brethren, my desire this evening is to share some counsel about decisions and choices. When I was a young lawyer in the San Francisco Bay Area, our firm did some legal work for the company that produced the Charlie Brown holiday TV specials.1 I became a fan of Charles Schulz and his creation—Peanuts, with Charlie Brown, Lucy, Snoopy, and other wonderful characters. One of my favorite comic strips involved Lucy. As I remember it, Charlie Brown’s baseball team was in an important game—Lucy was playing right field, and a high fly ball was hit to her. The bases were loaded, and it was the last of the ninth inning. If Lucy caught the ball, her team would win. If Lucy dropped the ball, the other team would win. This was one of many fly balls Lucy dropped through the years, and she had a new excuse each time.2 While always humorous, Lucy’s excuses were rationalizations; they were untrue reasons for her failure to catch the ball. Some young people profess their goal is to be married in the temple but do not date temple-worthy individuals. To be honest, some don’t even date, period! You single men, the longer you remain single after an appropriate age and maturity, the more comfortable you can become. But the more uncomfortable you ought to become! Please get “anxiously engaged”6 in spiritual and social activities compatible with your goal of a temple marriage. Some postpone marriage until education is complete and a job obtained. While widely accepted in the world, this reasoning does not demonstrate faith, does not comply with counsel of modern prophets, and is not compatible with sound doctrine. I recently met a fine teenage young man. His goals were to go on a mission, obtain an education, marry in the temple, and have a faithful happy family. I was very pleased with his goals. But during further conversation, it became evident that his conduct and the choices he was making were not consistent with his goals. 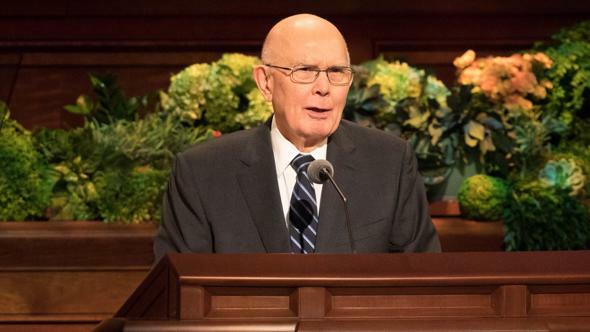 I felt he genuinely wanted to go on a mission and was avoiding serious transgressions that would prohibit a mission, but his day-to-day conduct was not preparing him for the physical, emotional, social, intellectual, and spiritual challenges he would face.7 He had not learned to work hard. He was not serious about school or seminary. He attended church, but he had not read the Book of Mormon. He was spending a large amount of time on video games and social media. He seemed to think that showing up for his mission would be sufficient. Young men, please recommit to worthy conduct and serious preparation to be emissaries of our Lord and Savior, Jesus Christ. My concern is not only about the big tipping-point decisions but also the middle ground—the workaday world and seemingly ordinary decisions where we spend most of our time. In these areas, we need to emphasize moderation, balance, and especially wisdom. It is important to rise above rationalizations and make the best choices. Distractions and opposition to righteousness are not just on the Internet; they are everywhere. They affect not just the youth but all of us. We live in a world that is literally in commotion.10 We are surrounded by obsessive portrayals of “fun and games” and immoral and dysfunctional lives. These are presented as normal conduct in much of the media. When we rationalize wrong choices, big or small, which are inconsistent with the restored gospel, we lose the blessings and protections we need and often become ensnared in sin or simply lose our way. I am particularly concerned with foolishness13 and being obsessed with “every new thing.” In the Church we encourage and celebrate truth and knowledge of every kind. But when culture, knowledge, and social mores are separated from God’s plan of happiness and the essential role of Jesus Christ, there is an inevitable disintegration of society.14 In our day, despite unprecedented gains in many areas, especially science and communication, essential basic values have eroded and overall happiness and well-being have diminished. I believe Elder Dallin H. Oaks’s inspired message distinguishing between “good, better, best” provides an effective way to evaluate choices and priorities.19 Many choices are not inherently evil, but if they absorb all of our time and keep us from the best choices, then they become insidious. Even worthwhile endeavors need evaluation in order to determine if they have become distractions from the best goals. I had a memorable discussion with my father when I was a teenager. He did not believe enough young people were focused on or preparing for long-term important goals—like employment and providing for families. Meaningful study and preparatory work experience were always at the top of my father’s recommended priorities. He appreciated that extracurricular activities like debate and student government might have a direct connection with some of my important goals. He was less certain about the extensive time I spent participating in football, basketball, baseball, and track. He acknowledged that athletics could build strength, endurance, and teamwork but asserted that perhaps concentrating on one sport for a shorter time would be better. In his view, sports were good but not the best for me. He was concerned that some sports were about building local celebrity or fame at the expense of more important long-term goals. Given this history, one of the reasons I like the account of Lucy playing baseball is that, in my father’s view, I should have been studying foreign policy and not worrying about whether I was going to catch a ball. I should make it clear that my mother loved sports. It would have taken a hospitalization for her to miss one of my games. The lunch with the Stanford coach was at the Bluebird restaurant in Logan, Utah. After we shook hands, he never once made eye contact with me. He talked directly to Merlin but ignored me. At the end of the lunch, for the first time, he turned toward me, but he could not remember my name. He then informed Merlin, “If you choose Stanford and want to bring your friend with you, he has good enough grades and it could probably be arranged.” This experience confirmed for me that I should follow my dad’s wise counsel. However, I encourage everyone, young and old, to review goals and objectives and strive to exercise greater discipline. Our daily conduct and choices should be consistent with our goals. We need to rise above rationalizations and distractions. It is especially important to make choices consistent with our covenants to serve Jesus Christ in righteousness.21 We must not take our eyes off or drop that ball for any reason. This life is the time to prepare to meet God.22 We are a happy, joyous people. We appreciate a good sense of humor and treasure unstructured time with friends and family. But we need to recognize that there is a seriousness of purpose that must undergird our approach to life and all our choices. Distractions and rationalizations that limit progress are harmful enough, but when they diminish faith in Jesus Christ and His Church, they are tragic. 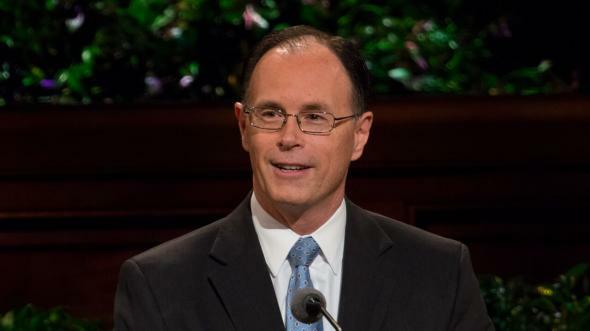 My prayer is that as a body of priesthood holders, we will make our conduct consistent with the noble purposes required of those who are in the service of the Master. In all things we should remember that being “valiant in the testimony of Jesus” is the great dividing test between the celestial and terrestrial kingdoms.23 We want to be found on the celestial side of that divide. 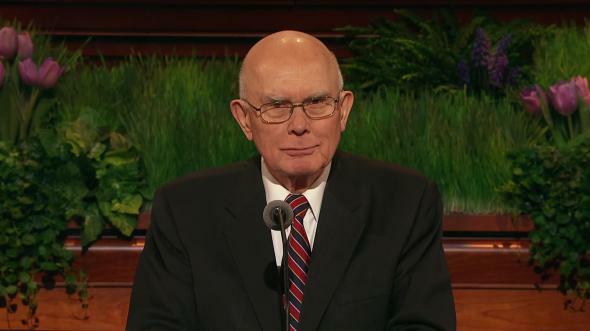 As one of His Apostles, I bear fervent testimony of the reality of the Atonement and the divinity of Jesus Christ, our Savior. In the name of Jesus Christ, amen. Lee Mendelson-Bill Melendez Production TV Specials. From the moons of Saturn distracting her to worrying about possible toxic substances in her glove, Lucy always rationalized why she dropped the ball. See “Decisions Determine Destiny,” chapter 8 in Pathways to Perfection: Discourses of Thomas S. Monson (1973), 57–65. “If to do were as easy as to know what were good to do, chapels had been churches and poor men’s cottages princes’ palaces” (William Shakespeare, The Merchant of Venice, act 1, scene 2, lines 12–14). See Adjusting to Missionary Life (booklet, 2013), 23–49. See Stephanie Rosenbloom, “Dealing with Digital Cruelty,” New York Times, Aug. 24, 2014, SR1. 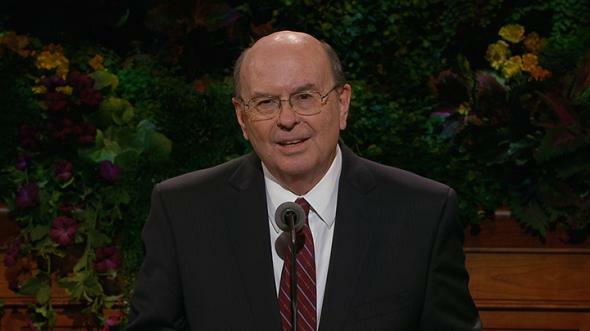 Randall L. Ridd, “The Choice Generation,” Ensign or Liahona, May 2014, 56. See Doctrine and Covenants 45:26. See David A. Bednar, “To Sweep the Earth as with a Flood” (speech delivered at BYU Campus Education Week, Aug. 19, 2014); lds.org/prophets-and-apostles/unto-all-the-world/to-sweep-the-earth-as-with-a-flood. Arthur C. Brooks, “Love People, Not Pleasure,” New York Times, July 20, 2014, SR1. Unfortunately, one diversion that has increased in our day is pure foolishness. When the Savior enumerated some of the things that can defile man, He included foolishness (see Mark 7:22). This happened in ancient Greece and Rome, as well as with the Book of Mormon civilizations. See Frederic W. Farrar, The Life and Work of St. Paul (1898), 302. There were philosophers of all kinds, including Epicureans and Stoics, rival groups who some described as the Pharisees and the Sadducees of the pagan world. See also Quentin L. Cook, “Looking beyond the Mark,” Ensign, Mar. 2003, 41–44; Liahona, Mar. 2003, 21–24. Farrar, The Life and Work of St. Paul, 312. Merlin Olsen was a hall of fame football player, actor, and NFL commentator for NBC. He won the Outland Trophy playing football for Utah State University. He played pro football for the Los Angeles Rams. On TV he played Jonathan Garvey opposite Michael Landon on Little House on the Prairie and had his own TV program, Father Murphy. Merlin is now deceased (Mar. 11, 2010), and we miss him very much. See Doctrine and Covenants 76:5.